Hi. 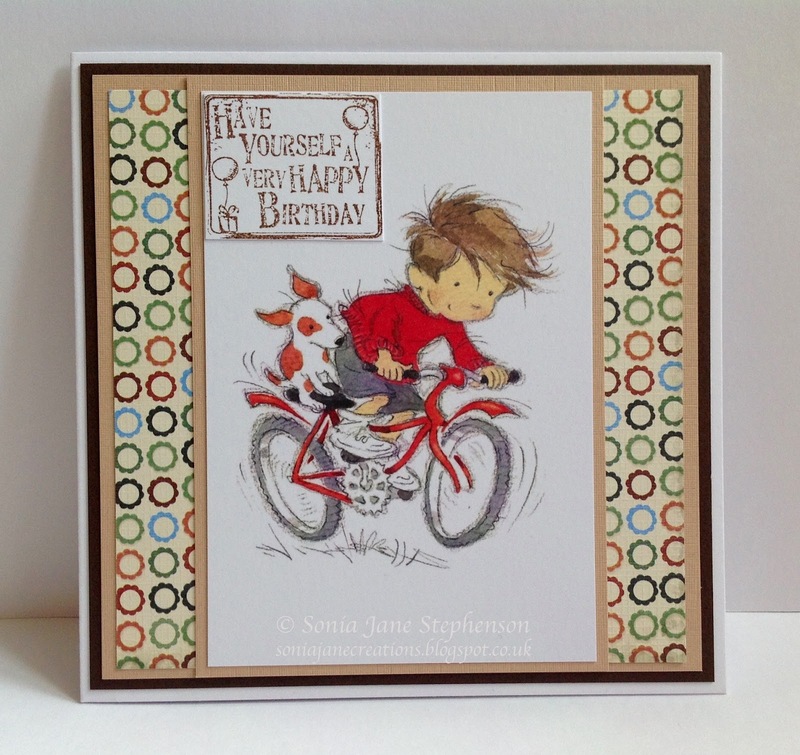 I'm back today to share a couple of recently made cards. 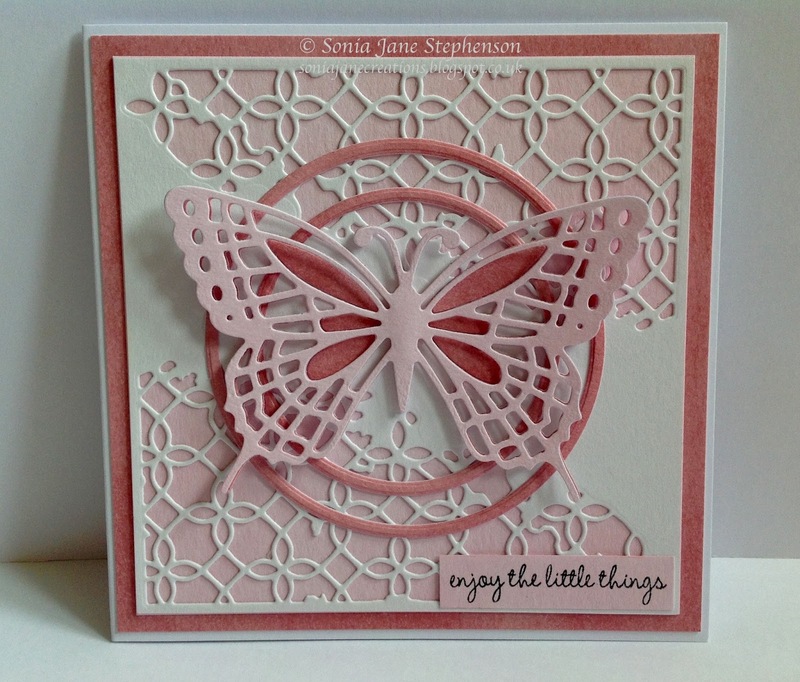 The first card was for one of the mini challenges over at Cotswold Crafter to use butterflies on our creations. 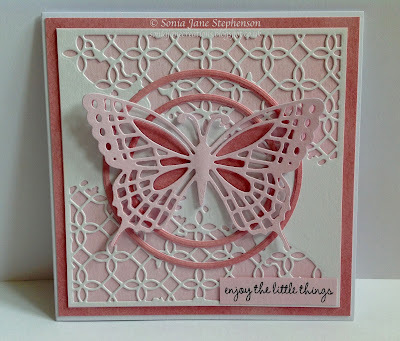 I cut the butterfly on card coloured with distress ink. It was layered within a couple of circle frames and added to my background. 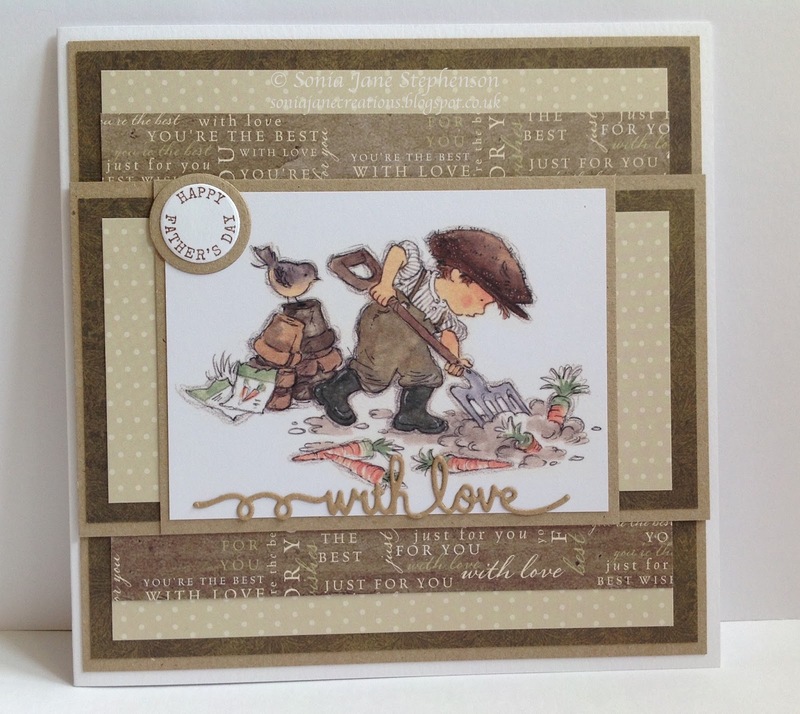 The background is cut with dies from the Distressed Addington Collage set from Memory Box. A stamped sentiment finishes it off. 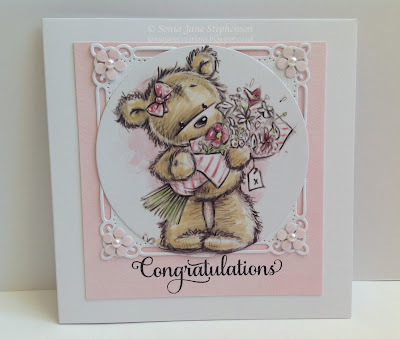 My second card was for a friend who has just recently become a Great Grandma for the second time. I didn't really have anything specific for a baby girl, so decided on the sweet LOTV image. I layered it onto one of the Spellbinders Marvellous Squares dies and added punched flowers to the corners. 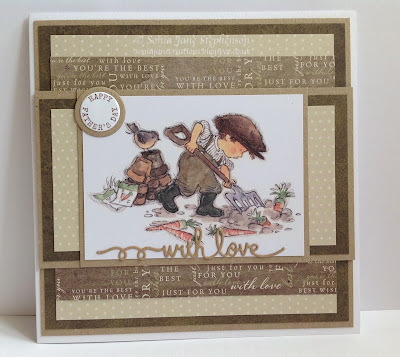 The sentiment is from JustRite stamps. Masculine Cards - Art Pad Images. Hi. I hope you're all enjoying the sunshine today. A little hot for me so I thought I'd take the chance to share a couple of cards. I have a few cards which I have been meaning to blog for a while, so todays share is a couple of masculine cards. One of them was for Fathers Day back in June - so that shows how long I've been meaning to show them! 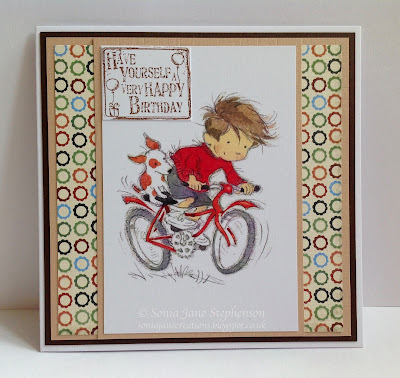 Both are pretty basic with matting and layering using cardstock and patterned papers. The images are from the LOTV art pads (now discontinued) and the sentiments also from LOTV. 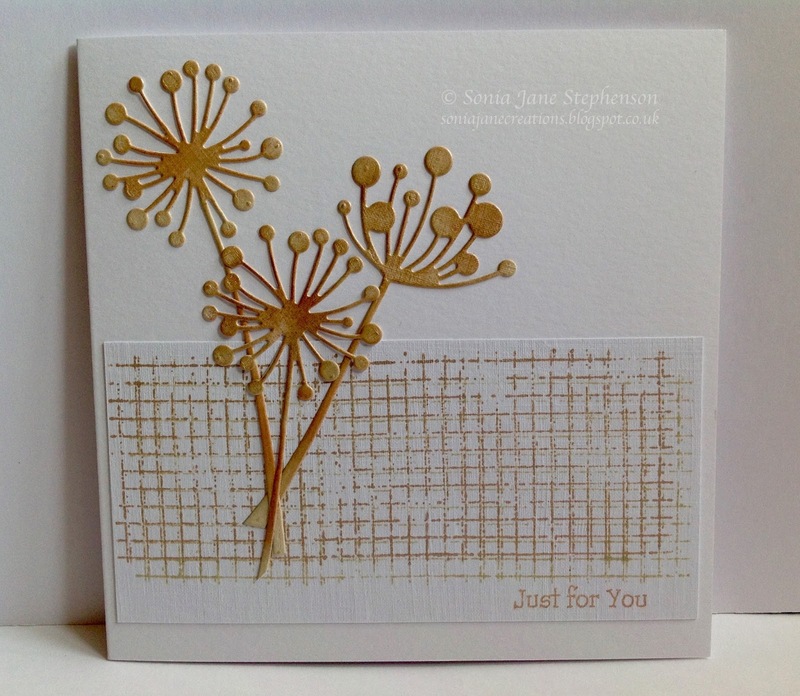 The die cut sentiment on the second card is from Spellbinders. Hi. Thought I'd share a couple of cards I made the other day. 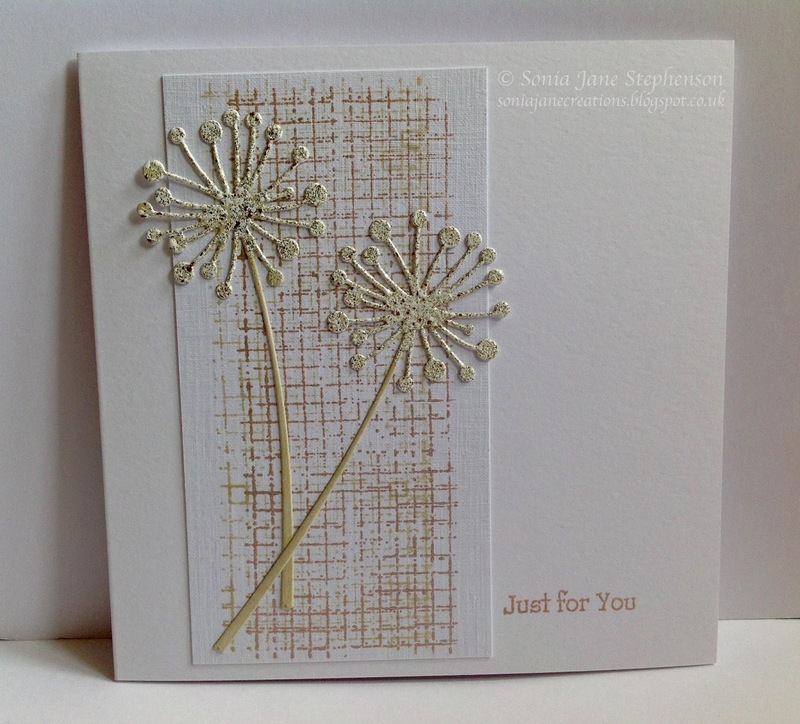 These were quick and easy and are great additions to my stash of ready made cards. I have been really busy with lots of crafting, but unfortunately am not finding the time to blog much at the moment. Hopefully in the next few days I'll have time to share some more of my creations with you. I have used Memory Box dies, adding colour with ink pads and embossing enamel. The die cuts are added to a stamped panel in the same colours. The sentiment is from LOTV.